“The moment has arrived for a new cycle.” Ronaldo in emotional tribute to Real Madrid fans. “These years in Madrid, and in this city of Madrid, have been possibly the happiest of my life. I only have feelings of enormous thanks for this club, this fanbase and this city. I can only give thanks to all of them for the love and affection that I have received. However, I think that the moment has arrived to start a new chapter in my life and therefore I have asked the club to accept letting me leave. I am sorry it is like this and I ask all of you, especially our followers, to please understand me. “These have been nine absolutely marvellous years. These have been nine unique years. It has been an emotional time for me, full of consideration because Real Madrid takes the most out of you but I know very well that I won’t be able to ever forget that here I’ve enjoyed football in a completely unique way. “I only have feelings of enormous thanks for this club, this fanbase and this city. I can only give thanks to all of them for the love and affection that I have received. However, I think that the moment has arrived to start a new chapter in my life and therefore I have asked the club to accept letting me leave. I am sorry it is like this and I ask all of you, especially our followers, to please understand me. 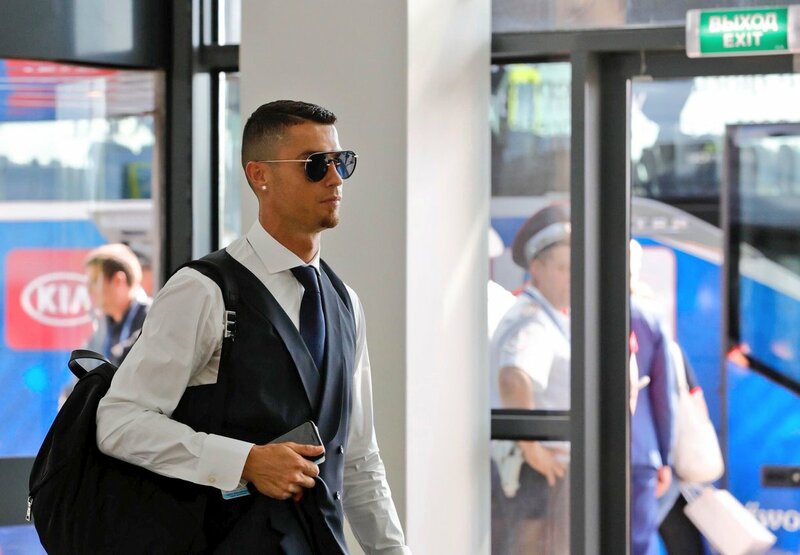 “I have had on the field and in the dressing room some fabulous teammates, I have felt the heat of an incredible fanbase and together we have won three consecutive Champions Leagues and four in five years. Together with those I have the individual satisfaction of having won four Ballon d’Or and three Golden Boots. All during my spell in this immense, extraordinary club. “Infinite thanks one more time to our fans and thank you also to Spanish football. During this incredible nine years I have played against incredible players. My respect and my recognition goes out to all them. PreviousReal Madrid confirm the sale of Cristiano Ronaldo to Juventus for €105m. NextNo surprises as Chelsea FC sack Antonio Conte as coach. Gareth Bale named the fastest player in the world. See top 10 list.